Tzitzimime were tremendous star demons that lived in the darkness. They had it in their power to commit both good and bad deeds. They might inflict an illness such as epilepsy or dropsy on one unfortunate Aztec, yet cure his neighbour of a similar fever! 1. It’s the dry season. These ferocious creatures don’t attack when the land is parched. 2. You’re in daylight. Tzitzimime only attack in total darkness. 3. It’s not the 52nd (and final) year of the century. 1. If you’re a child. Tzitzimime love attacking youngsters. 2. During the rainy months, the New Fire ceremony, solar eclipses (when the moon is said to eat the sun), and at night. 4. If you’re a pregnant woman - you might be turned into a Tzitzimitl! ‘Obsidian Butterfly’ was patroness of the paradise of Tamoanchan and head Tztitzimitl. 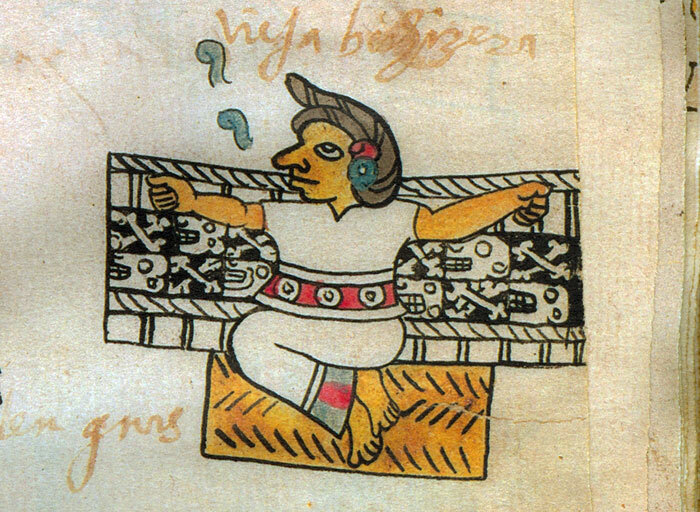 Several other Aztec gods could also be Tzitzimime. The Terrible Tzitizimime: Monsters of the Celestial Vault. Tzitzimime were tremendous star demons that lived in the darkness. Their ultimate goal was to wait until both humans and gods could not keep the world alive, and then attack and destroy humankind. 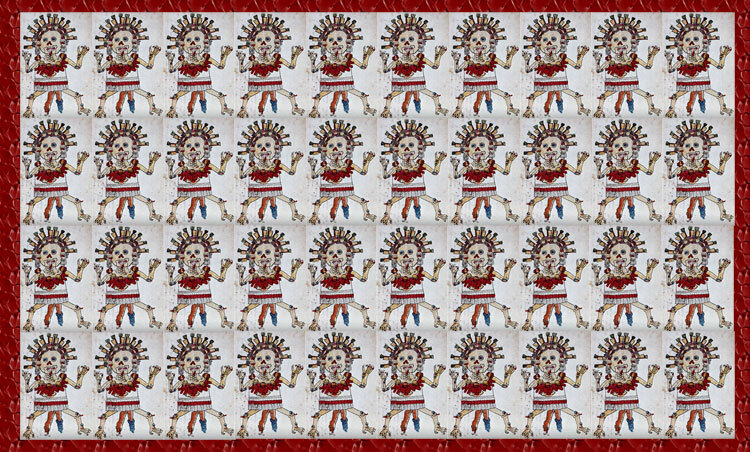 A special Aztec ceremony called Xiuhmolpilli or ‘The Tying Together of the Years’ was held to help ensure that they continue to exist every 52 years - the length of an Aztec century. 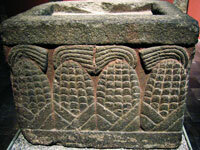 At the end of each century, a ‘New Fire’ ritual took place in which all Aztec hearths but one were extinguished. From the only flame left alight was kindled a new fire that promised a fresh beginning to all. If a fire could not be coaxed into life, dire consequences could ensue: darkness would descend upon the Aztecs and the terrifying Tzitzimime would come to tear apart all mortal beings. 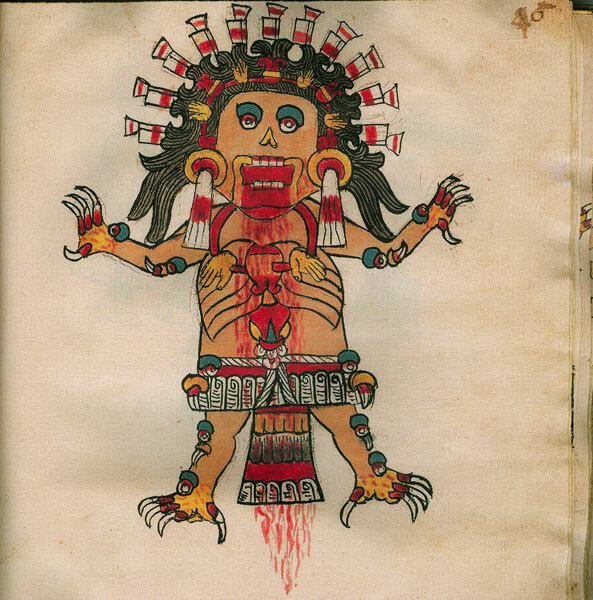 Although many Aztecs grew up to fear and dread the presence of these monsters, Tzitzimime could usually be anticipated at certain times of the year or during special religious festivities. The following guidelines will help anyone avoid them. 1. It’s the dry season. These ferocious creatures don’t appear in any rituals during the months in which the land is parched. The period that all Aztecs had been dreading for years concluded at sunrise this morning. Tenochtitlan’s 200,000 strong population’s prayers have been answered during this century’s final five days, or nemontemi. As each solar year comes to a close, we are left with five final, inauspicious days that are not attached to any month These days can bring terrible luck to humankind and this is why local temples have been crammed with offerings to the gods over this period. To make matters worse, end-of century tension was running high amongst citizens as many feared the sun might never rise again. Most fearsome of all was the possibility that Tenochtitlan would be infested with Tzitzimime, terrible goddesses and heralds of darkness. Known to tear apart children and pregnant women, these petrifying beings are themselves, mothers who died in childbirth. According to healers, people who encounter Tzitzimime tremble, their limbs wither and twist, and foam forms at their mouths. For this reason, pregnant Tenochca women were hidden in grain bins to wait out the nemontemi period. Given symbolic masks made out of Maguey (cactus) fibre, they were guarded against the monsters. Once discovered by ghoulish Tzitzimime, women could be turned into them! Farmer Yauhtzin, from Coyoacán, south west of Tenochtitlan, had to safeguard three women in his grain deposit during the five nail-biting days prior to the Xiuhmolpilli (Tying together of the Years) ceremonies. 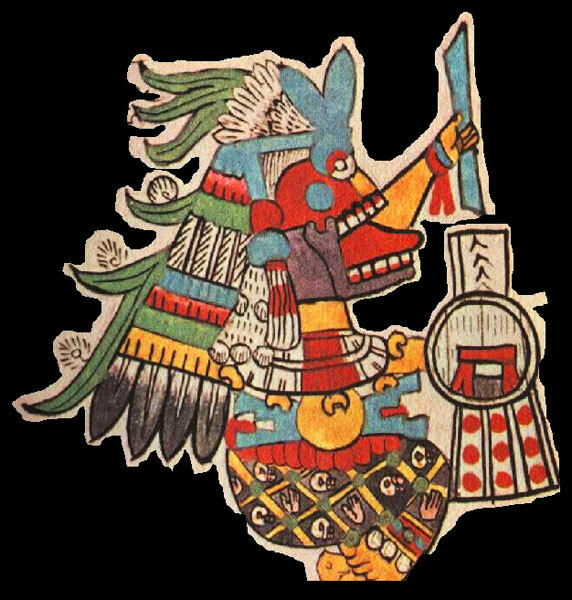 Luckily, no Tzitzimime visited his or anyone else’s land, and Tenochtitlan’s ruler declared that the world’s destruction had been postponed until the end of another century. The Aztec Xiuhmolpilli ceremonies took place as planned and this morning, the appearance of the beautiful rising sun confirmed that all would be well. Although grain stock in the region has been ruined by the wear and tear of being used as living quarters, the Aztec administration has assured us that this was a measure needed to safeguard our nation state’s pregnant women and children. Prior to the dangerous end-of-century period, all Aztec communities spent months storing food and provisions in case disaster struck. It’s quite easy to get confused between different Aztec deities when looking at how they are represented in codices. 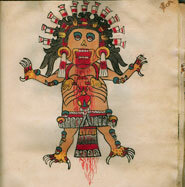 The lord of the underworld, Mictlantecuhtli, looks very similar to a Tzitzimitl. In fact, he often was portrayed as one because he was a sky bearer (one of the deities that holds the sky away from the earth). Here he is in the full length picture. 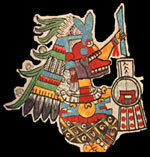 The other sky-bearers, Tlahuizcalpantecuhtli, Xiuhtecuhtli, and Ehécatl-Quetzalcóatl, could also turn into Tzitzimime. The presence of these symbols underlines the strong link between tzitzimime and human sacrifice. These monstrous beings were the organs of humans that died on the sacrificial stone. The skeletal faces of Tzitzimime related them to death and destruction. These were talons used for tearing people apart. The Tzitzimitl pictured has knees, elbows and wrists dotted with star symbols that look like eyes. Tzitzimime were considered to be constellations of stars that could turn into monsters. Investigators believe that these marks could also be small faces of monsters. Most gods wore fine adornments such as earrings, bracelets and anklets, like the one shown above. Rumour had it that the person who heard the rattle of a shell skirt behind him would die at the hands of a Tzitzimitl. The skirt could be decorated in a skull and crossbones or stars motif. 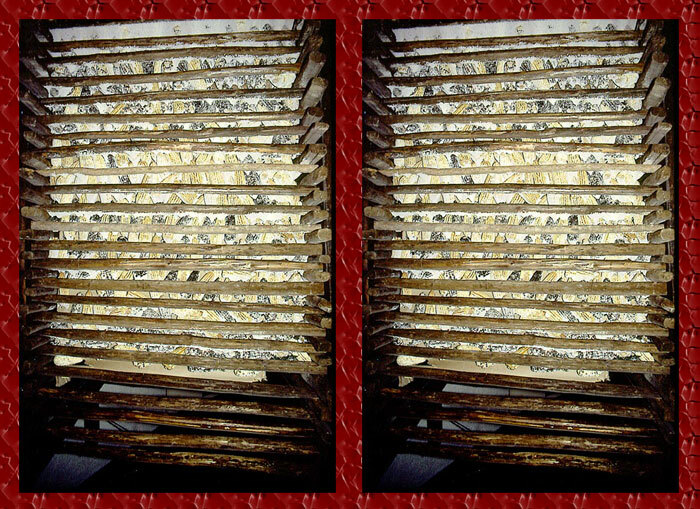 this could often be seen hanging down in between a Tzitzimitl’s legs. Were Tzitzimime completely bad? They were not only spirits of pregnant women, but deceased gods and royalty too. They had it in their power to commit both good and bad deeds. They might inflict an illness such as epilepsy or dropsy on one unfortunate Aztec, yet cure his neighbour of a similar fever. 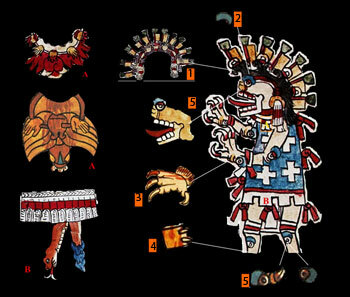 Various gods in the Aztec pantheon could take on the guise of Tzitzimime and perform tasks to aid humans. 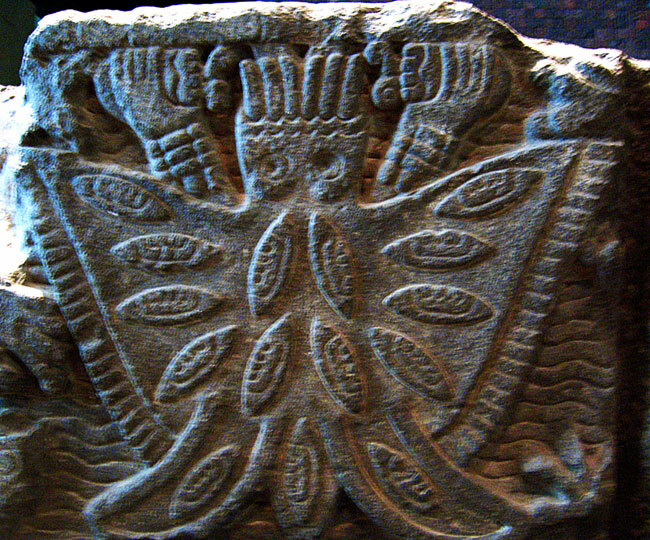 Coatlicue (Her Skirt of Snakes) was one such deity (picture 14). She presided over childbirth rites and her shell skirt was a token of her role as midwife. The curing of sick children was performed in conjunction with a Tzitzimitl who was an aspect of the Aztec patron god, Huitzilopochtli. He must wear a special cape that identified him as a healer. 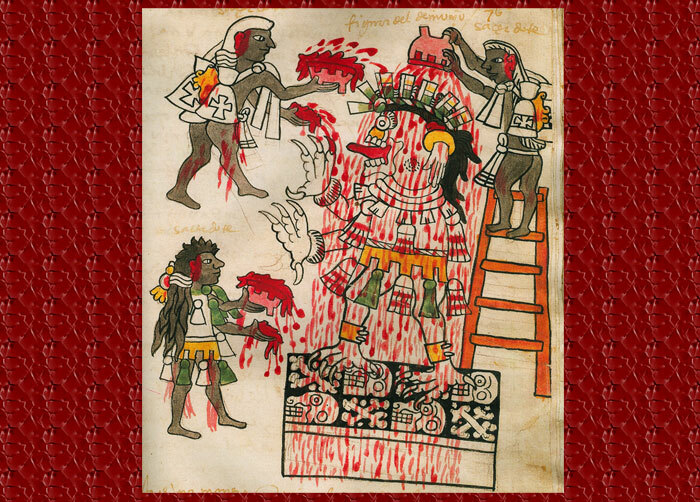 In picture 12, a Tzitzimitl is offered blood in return for the wellbeing and health of the Aztec people. She (or he) is standing on a platform that shows white skull and cross-bone designs on a black background. 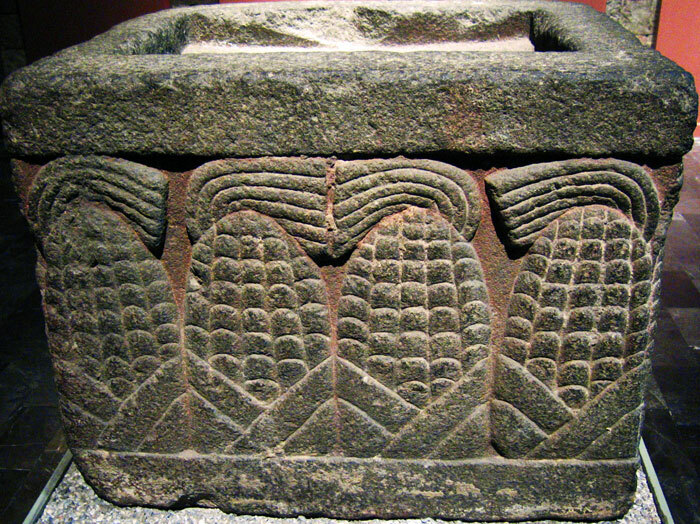 Archaeological digs performed by the Mexican scholar Alfonso Caso indicate that this same design of altar was used at the New Fire Ceremonies at the end of each 52 year cycle. 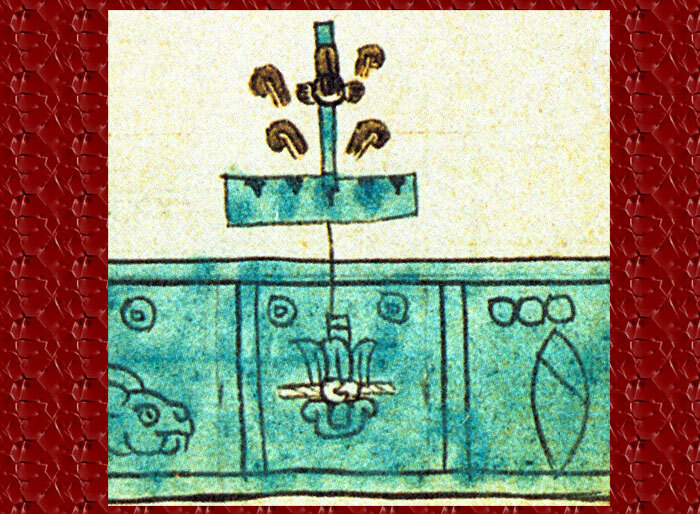 A similar motif is used as the backdrop to an image of a healer or midwife in the Codex Tudela (picture 13), thus reinforcing the link between Tzitzimime and healing. Itzpapálotl (Picture 15) - patroness of the paradise of Tamoanchan and HEAD TZITZIMITL. She is a facet of the creator goddess Tonacacíhuatl. Cihuacóatl - Ilamatecuhtli - fertility goddess. Sky-Bearers - four deities that held the sky away from the earth. Cihuateteo - spirits of women who died in labour. They accompany the sun from its noon day zenith to the place where the sun sets. They are patrons of the western sky come to the aid of midwives. Maquiltotonaleque or Ahuiateteo - male counterparts of the Cihuateteo. Tlaltecuhtli - earth goddess and first sacrificial victim. She is a monstrous being. Graulich, Michel, ‘Los dioses del altiplano central’, Arqueología Mexicana No.20 p32, 1996, Mexico. Klein, C.F., The Devil and the Skirt. 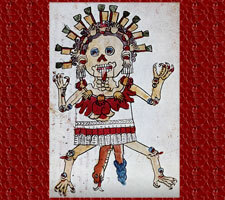 An iconographic inquiry into the prehispanic nature of the Tzitzimime, U.C.L..A, Los Angeles. Miller, Mary, Karl Taube, The gods and symbols of ancient Mexico and the Maya: an illustrated dictionary of Mesoamerican religion, Thames and Hudson, 1993, London. Rul, Francisco González, ‘Hacia el fin de un milenio indígena’, Arqueología Mexicana, no. 41, p60, 2000, Mexico. Smith, Michael E. The Aztecs, 2nd edition, Blackwell Publishing, 1996, Oxford, UK. Mexicolore replies: Fair point! 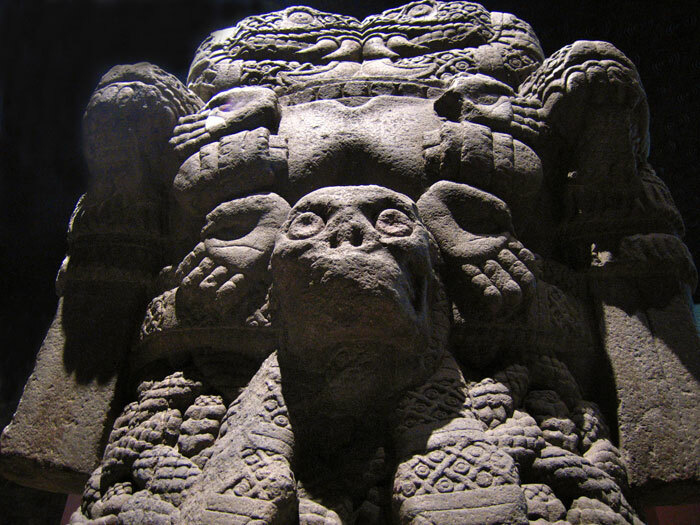 Cihuateteo (Women Gods) are female warriors, or women who have died in childbirth. They regularly haunt crossroads at night, can cause madness, paralysis, deformities (their preferred victims were children) and can cause men to commit adultery. They were associated specifically with the singularly unlucky day 1-House. Tzitzimime (Star Demons - they could be male or female) are MANIFESTATIONS of deities (the most important being Tezcatlipoca but of others too, including Cihuateteto! ), responsible for attacking the sun at critical and dangerous times: during total solar eclipses - when albinos were sacrificed to counteract the forces of darkness - and potentially for bringing about the end of the present (fifth) world at the completion of every 52-year cycle. Because of their strong association with era-ending, they were particularly feared by the Mexica. They had the power not just to disfigure but to completely devour humankind. 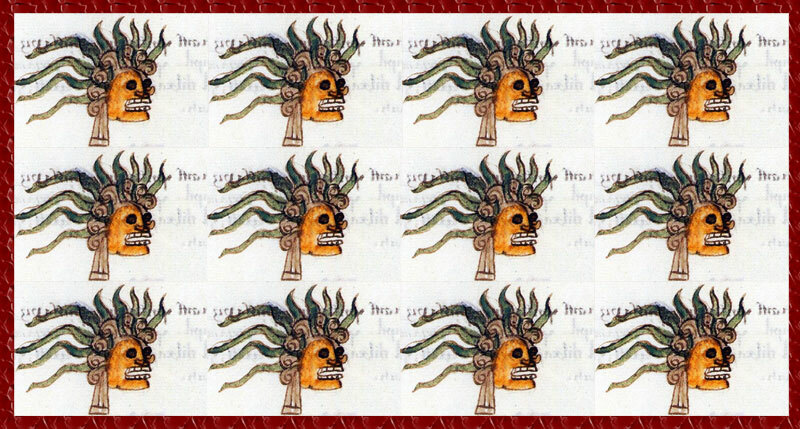 Where did the idea Itzpapalotl is a facet of Xochiquetzal come from? Not a single source I have mentions that and most scholars believe she is a dead form of the goddess Cihuacoatl. Mexicolore replies: We think you’re probably right, and have amended this - thanks for pointing this out! Itzpapálotl (‘Obsidian Butterfly’) was essentially a form of the creator deity Tonacacíhuatl and just one of her ‘secondary denominations’ was Cihuacóatl (‘Serpent Woman’). If the author of this article, Julia, comes back to us on this, we’ll let you know...! How can I learn more about the ritual performed every 52 years? 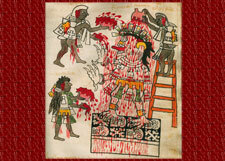 The aztec gods are really facanating I am learning about them in my class (4hv) corsham primary!!!!!!!!!!!!!!!!!!! 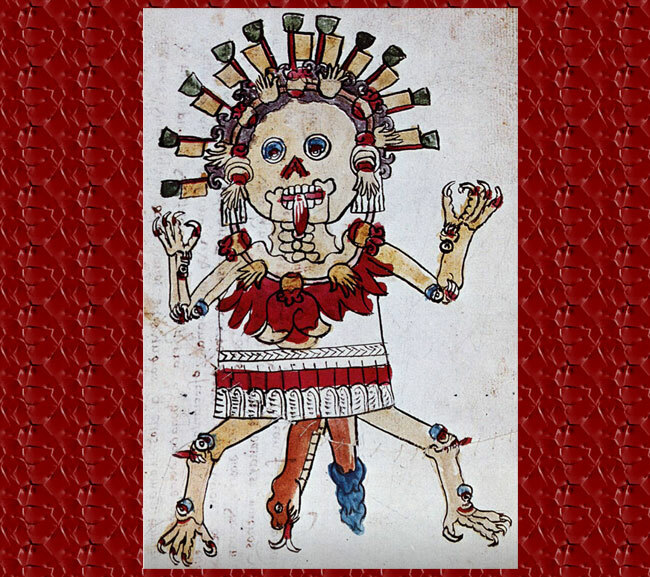 For those interested in Further reading, I recommend CECILIA KLEIN’s “The devil and the skirt: an iconographic inquiry into the prehispanic nature of the Tzitzimime”. This is a very interesting article in which, among other things, the author explores the “good side” of the Tzitzimines. muy buen esta la informacion. how could the Tzitzimime be good and bad. did they do bad deeds more than they did good deeds. i know that the aztecs thought that the planets were male Tzitzimime and they knew about 5 planets. Hola desde Mexico.